"You got your seat belt on?" Ethan Hunt asks Benji Dunn as a BMW flies backwards off a set of stairs. 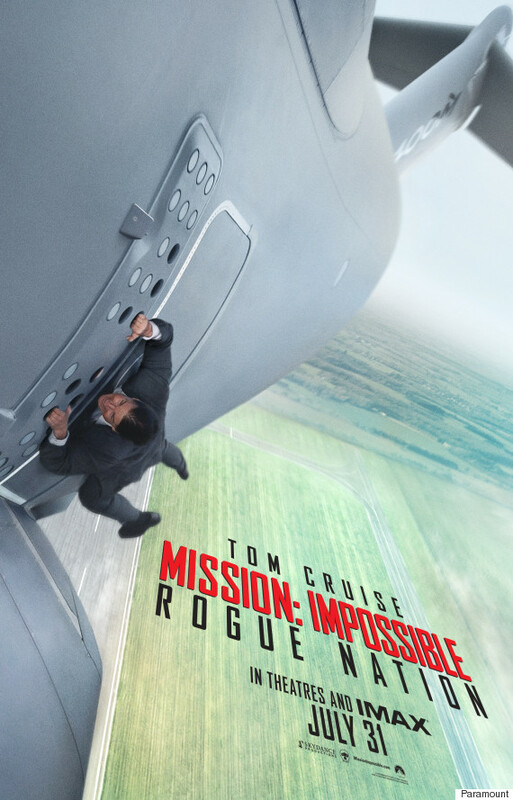 That's just one part of the madness that comprises the first trailer for "Mission: Impossible 5," which now has the official title "Mission: Impossible - Rogue Nation." Before Sunday, little to nothing was known about the sequel to "Mission: Impossible - Ghost Protocol" besides the fact that Tom Cruise would reprise his IMF agent. In the trailer we learn that "Rogue Nation" will follow Hunt, Benji (Simon Pegg) and Brandt (Jeremy Renner) as they try to bring down a syndicate of agents who are their recently discovered enemies. The trailer also features newcomers to the franchise, Alec Baldwin and Rebecca Ferguson. Oh, and did we mention Cruise rides on the side of a plane taking off with his bare hands (sans high-tech gloves)? Yeah, prepare to have your mind blown. "Mission: Impossible - Rogue Nation" opens July 31.